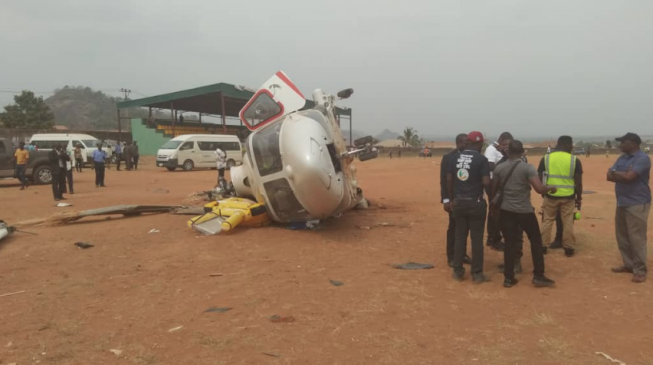 Vice-President Yemi Osinbajo says the Kogi state government would have been in trouble if he did not survive the helicopter crash in the state last year. Osinbajo said this on Sunday during a thanksgiving service at the Aso Villa Chapel. The service was meant to commemorate Osinbajo’s re-election with President Muhammadu Buhari. The vice-president escaped death in February when the helicopter conveying him and his team crash-landed in Kabba, Kogi state. No injury was sustained in the incident which investigation later showed was as a result of “unusual weather condition”. Osinbajo recounted how he was delivered by God during the incident which occurred during one of his tours round the states. “On February 2nd, God gave me reason to know that but for his grace we would have been consumed, when our helicopter crashed,” he said. “When the crashed occurred, for a moment there was complete silence. For a second, it occurred to me that if we had died that is what it would have been, complete silence. But we all got out without a scratch. God delivered us. He said he did not envisage himself in politics before 2015, not to talk of touring the 36 states in the build-up to the elections.